Cake Poker is giving up the Cake this month with some nice poker freerolls for new players to their poker room. If you have not taken Cake Poker for a test drive yet, July would be a great month to do so. Cake is USA friendly! Here is what they are offering. Players that make their first deposit at Cake Poker in July automatically receive a “Tournament Ticket” to a freeroll that they choose. Every Saturday at 2PM EST Cake offers a $500 freeroll to new depositors. 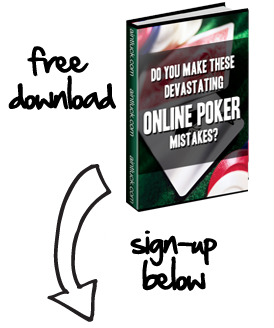 Simply log into your Cake Poker account and navigate to the Cake tournament section. There is an entire tab there that lists Cake freerolls. Locate the $500 freeroll on Saturday’s and register to play. Remember, you will need to make a deposit at Cake before you can enter the freeroll. Once you make a deposit you receive a tournament ticket that will show up under the “My Tournaments Tab”. Before you sign up, be sure to visit our Cake Poker Bonus Code page so you can receive the maximum bonus at Cake.